Yakuza 1 remake set for western release. Yakuza Kiwami for PlayStation 4 is coming to North America and Europe in summer 2017, Sega announced during the PlayStation Experience 2016 keynote. The announcement, presumably set for the PlayStation Experience 2016 keynote, was put up early by Deep Silver, who is distributing the game in Europe. In 2005, a legend was born on the PlayStation 2 – the legend of Kazuma Kiryu, the Dragon of Dojima, in his video game debut with Yakuza. Now, 11 years after that release, a new generation of players will be able to experience the incomparable action and drama of the Yakuza series with the rebuilt-from-scratch HD remake exclusive to PlayStation 4, Yakuza Kiwami. And “rebuilt from scratch” is not just puffery, “kiwami” literally translates to “Extreme” and with good reason: The game is packed with new features and content beyond just a casual up-rez of the original game. Kiwami adds tons of new story depth over the PS2 original, new distractions around the in-game setting of Kamurocho, added side quests, updated mechanics and combat, and much more. Topping it all off, Yakuza Kiwami will be getting both physical and digital editions, and for the first time in the west, will exclusively feature a re-recording of the original Japanese dialogue. The game will be published in the Americas by SEGA and in Europe by Deep Silver in summer 2017. 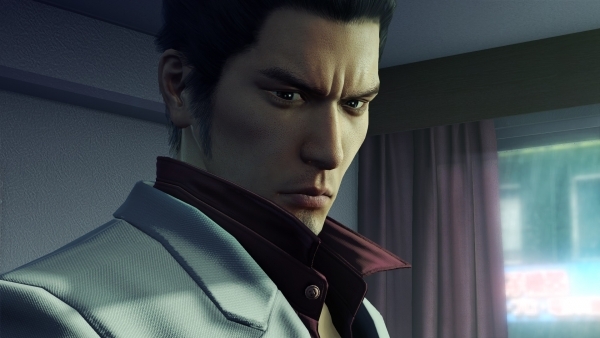 A Family Patriarch’s Ransom of New Content – Not just a simple graphical upgrade, Kiwami adds nearly 30 minutes of cutscenes alone, providing all-new insight into the game’s plot and creating common threads with series prequel Yakuza 0. There’s also added distractions (Pocket Circuit car racing, MesuKing: Battle Bug Beauties, new hostesses, and more), side quests and combat updates to bring the original Yakuza game into the latest console generation.